Three years ago I ran into Red Bull-backed off-road racer Bryce Menzies in a bar in Iquique, Chile. He was scouting the Dakar Rally- the 5,000-odd mile endurance challenge named after a place in Africa hosted by a French outfit in South America. Next year, he’s finally getting into the pilot’s seat of an X-Raid Mini. It’s worth being wary of terms like “biggest, furthest and toughest” when we’re talking about racing because there are so many extreme events going on every year. But I’m pretty confident that the Dakar, which takes a couple weeks of brutally long and remote stage rally driving over unbelievably harsh terrain, is the most difficult overall automotive event to complete. It’s also not very spectator friendly, due in large part to the fact that the intimidating logistics make it daunting just to follow along. That might be part of the reason why it’s not all that well known in the United States. But as a desert race fan, and an American, I’ve always felt it’s a shame that we don’t have much representation in this epic event. Robby Gordon, possibly the most aggressive driver in U.S. motorsports, has held the mantle of trying to win the Dakar for America for years. But frankly, his rough racing style isn’t really conducive to this weeks-long showdown. And his scratch-build cars haven’t exactly been up to the task in past years, either. And that’s where I think Menzies could step up and shine. He might not be as wild or flashy as Gordon, but he’s talented and perhaps more importantly- he’s stepping into a proven piece of equipment. He was supposed to be our guy last year, in the same car, but unfortunately fractured a bone before the race and had to bail. This year, I’m sure he’s going to take better care of himself before race day. 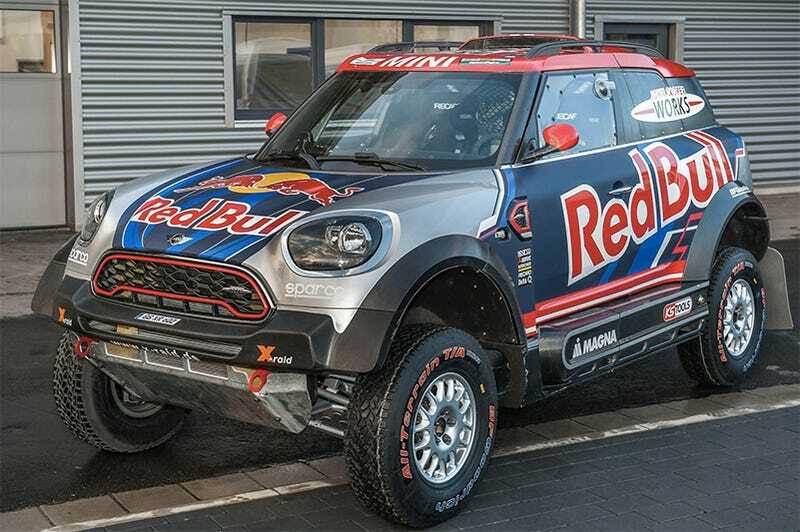 The X-Raid Mini cars like the one Menzies will be driving have been ridiculously successful at Dakar, and I have a feeling Red Bull has more money to throw at this operation than Gordon has been willing to. Here’s hoping Menzies makes us proud, and maybe even inspires more U.S.-based teams and drivers to take on the challenge. The Dakar Rally goes down in January, and this year will go through Peru, Bolivia and Argentina.